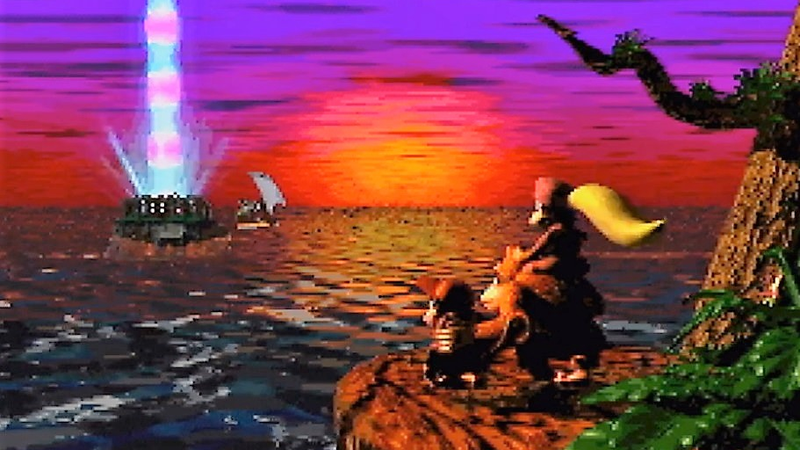 One of Donkey Kong Country 2’s best speedrunners, who goes by V0oid, recently took first-place in the game’s 102 percent category, completing and collecting everything in the game in 1:26:28. He’d been working on it for months, but was able to shave a full nine seconds off the previous record thanks to a newly discovered shortcut made possible by an invisible beetle. The shortcut takes place on Red-Hot Ride, the ninth level in the game and one that’s full of lava. It’s also home to a crate containing Rambi the Rhinoceros. As with all of the series animal buddies, Rambi makes it super easy to rush through the level, but only a portion of it. A “No Rhinoceros” sign appears before the end of the level, causing Rambi to turn into a balloon if he hits it. Using an invisible beetle, however, it’s possible to glitch the game and magically teleport the sign behind where Rambi’s standing. Making throwable objects like barrels and beetles invisible and using them to manipulate the game is one of Donkey Kong Country 2’s cornerstone glitches. It requires carrying one object in front while backing into another. Right before actually hitting it, the player needs to release the Y button to let go of the object,then immediately press it again. If they’re quick enough, the object will disappear but player characters Diddy or Dixie will still appear to be holding something. Clever speedrunners can then throw these invisible objects at different locations to corrupt the game’s memory and cause all sorts of weird stuff to happen. Donkey Kong Country 2’s 102 percent category is interesting in that players are allowed to use glitches but still need to collect everything in the game, rather than just rushing to the final boss. As a result, there are lots of opportunities to save small amounts of times in precise locations by deploying the right glitches. Players have been running the game for years, so the best route and strategy are already extremely optimized. The most recent Rambi time save was fortunate surprise for V0oid and others. “The biggest thing that made this [world record] possible was a new strategy in Red-Hot Ride found by Mr. Kyoro from Japan, which saves around 8 seconds,” he said. “This game is very optimized and new strategies usually save less than a second, so that discovery was a huge deal.” It’s been a year since V0oid’s last 102 percent record, and he’s spent the last three months playing nearly five hours a day to try and grind out his next one. When Kyoro’s discovery started making the rounds three weeks ago, it made V0oid’s job that much easier. “Since I already have the Any% WR, it meant having both records at the same time again,” he said. “My goal was only to reclaim the WR, not necessarily to defend it since my main competitor is currently grinding that category as well, and it’s almost exclusively what he runs.” This speedrunner, ga_su_0416, who held the previous world record, has already started practicing to try and make that happen.